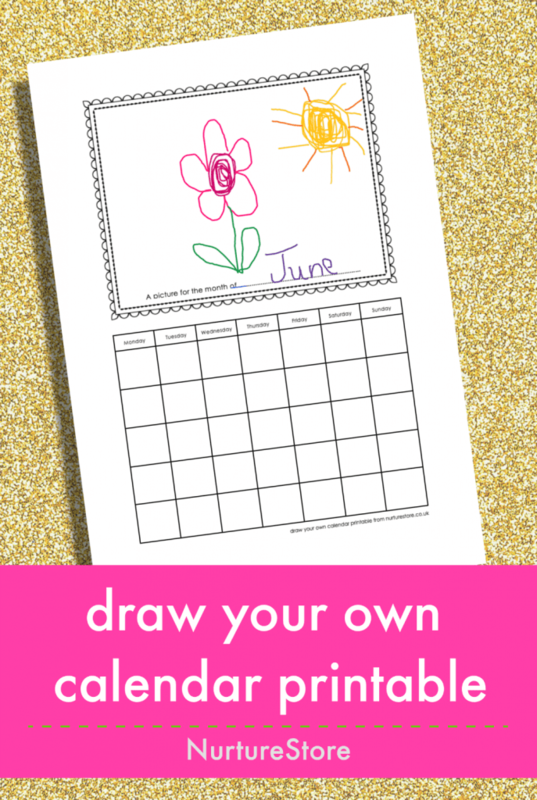 Use this printable calendar coloring page to make a simple homemade calendar that’s absolutely unique to your child! Countdown to the celebration with this Happy New Year colouring page printable. 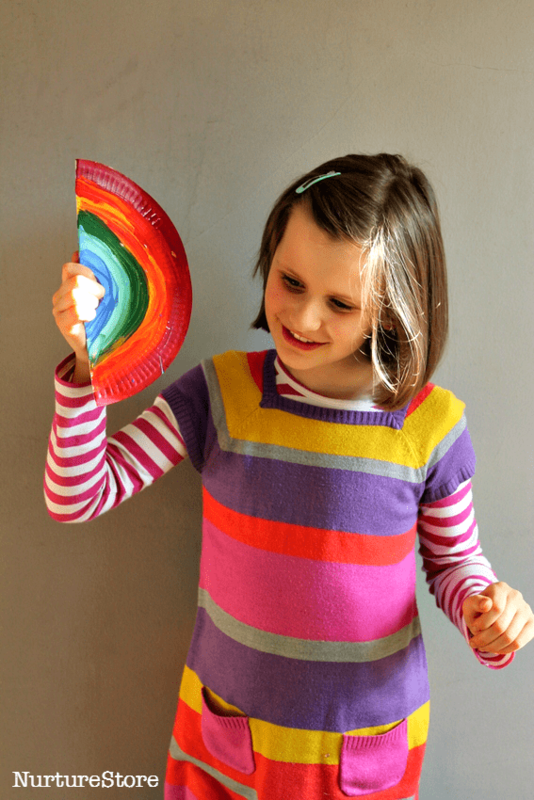 Celebrate your child and mark their milestones! 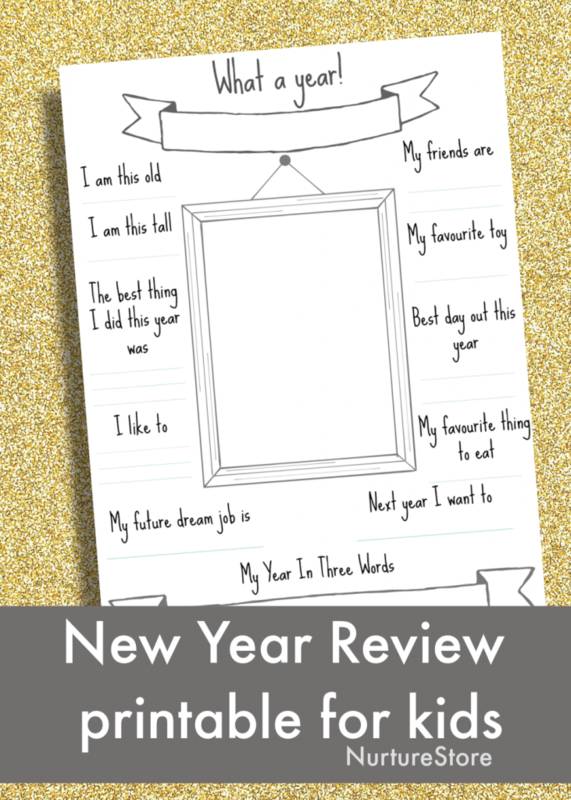 Use this set of printable New Year Review questions for kids to record what a year your child has had. 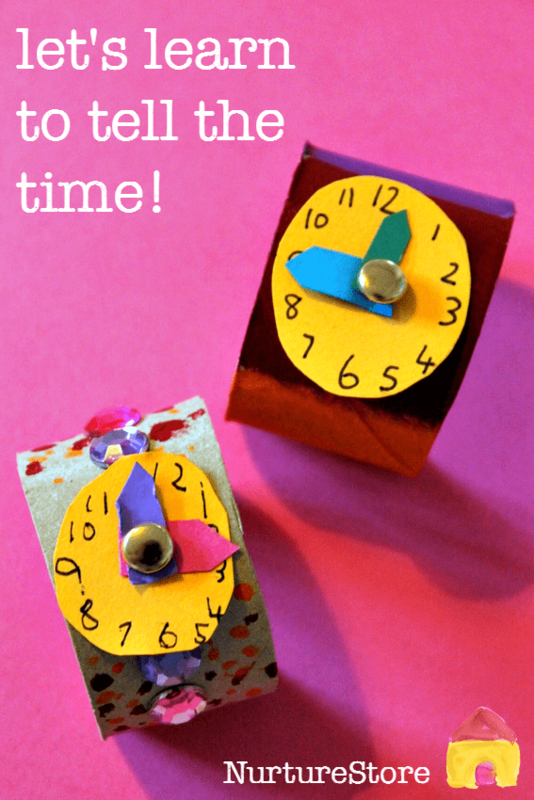 Do you make New Year resolutions with your children? 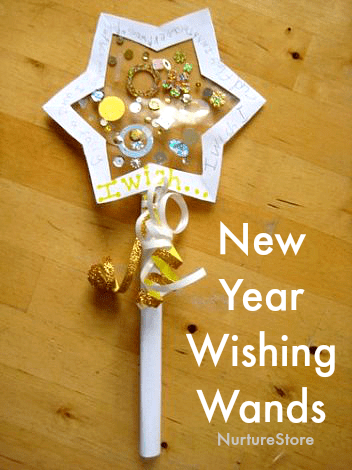 Here’s a lovely New Year craft for children that encourages them to think about their hopes and dreams for the year ahead: a magic wishing wand craft. 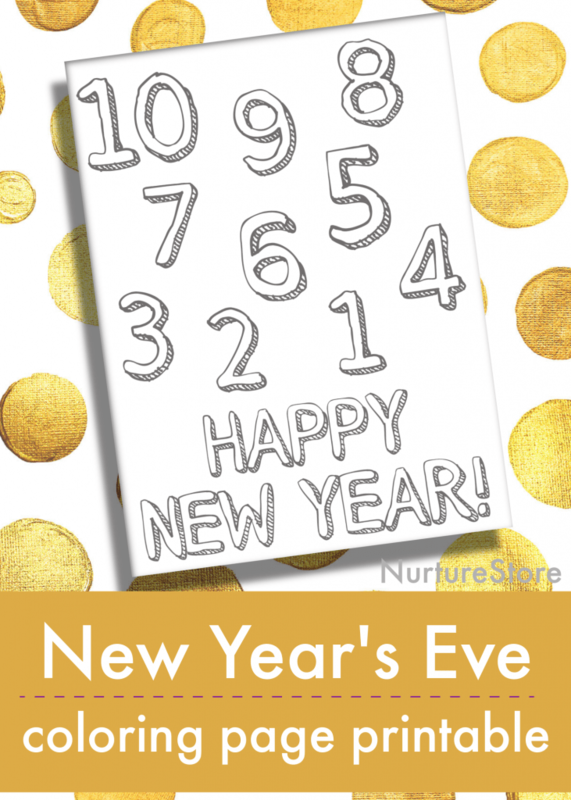 Looking for things to do on New Years Eve for kids? 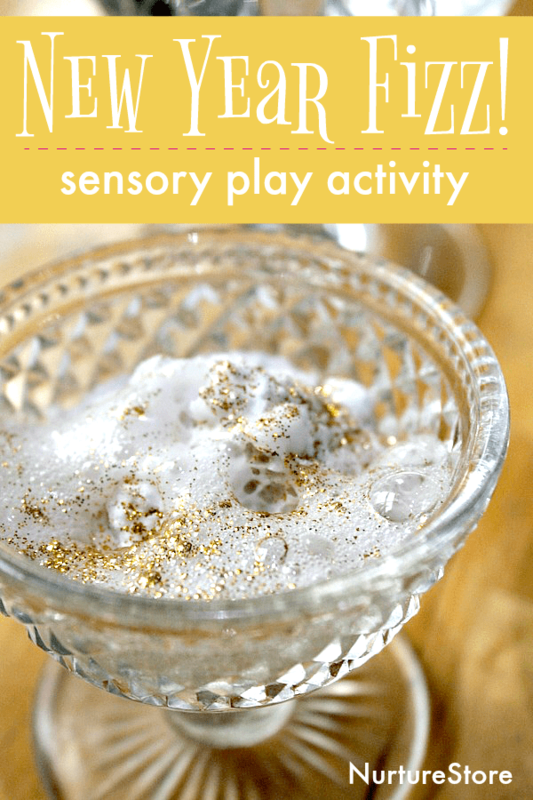 Try this fizzy sensory play!